In 1976, in a southern Wisconsin barn, a pair of visionaries set out to create the best bikes in the world. They fostered a culture of craftsmanship, where every bicycle built was a point of pride. To this day, though Trek have grown far beyond their roots, every bike they make is a testament to Trek’s founding principles: to make innovative products that are loved, and to take care of their customers. Road bikes are designed to be ridden primarily on tarmac for recreation, fitness and speed. These are the bikes that you see everywhere from the Tour de France to the group road ride at your local bike shop. Road bike technology has developed at a rapid pace, and new bikes are lighter, stronger, more comfortable and faster than ever before. All Trek road bikes will perform effectively in a wide variety of riding situations, from racing to long-distance touring. But each style is designed to emphasise certain rider priorities and be used for a particular type of ride. Determining which style of bike fits your goals is the first step in identifying the one that you’ll most enjoy riding. The Trek Domane ALR 3 provides an excellent balance between performance, comfort and price. Trek's lightweight 200 series aluminium road bike frame has the Domane endurance geometry for all day ride comfort. It is stiff, durable and has Trek's invisible weld technology, so there is no unsightly welding. The Emonda SL 5 from Trek provides fantastic lightweight handling thanks to their carefully tuned geometry, and fantastic 500 series carbon fibre frame. This bike has been designed to excel on the road, and once you swing into the saddle you will never look back. Trek is a bike company first, and you’ll notice the difference in everything from ride feel to serviceability. Trek partners exclusively with Bosch and Shimano – the leaders in electronic motor and drivetrain design – to provide bicycles that are reliable and easy to maintain. Premium features like hydraulic disc brakes for confident braking in any condition, at any speed, are included on every e-bike Trek make. In the world of e-bikes, technology is only as good as the support it gets from the manufacturer. 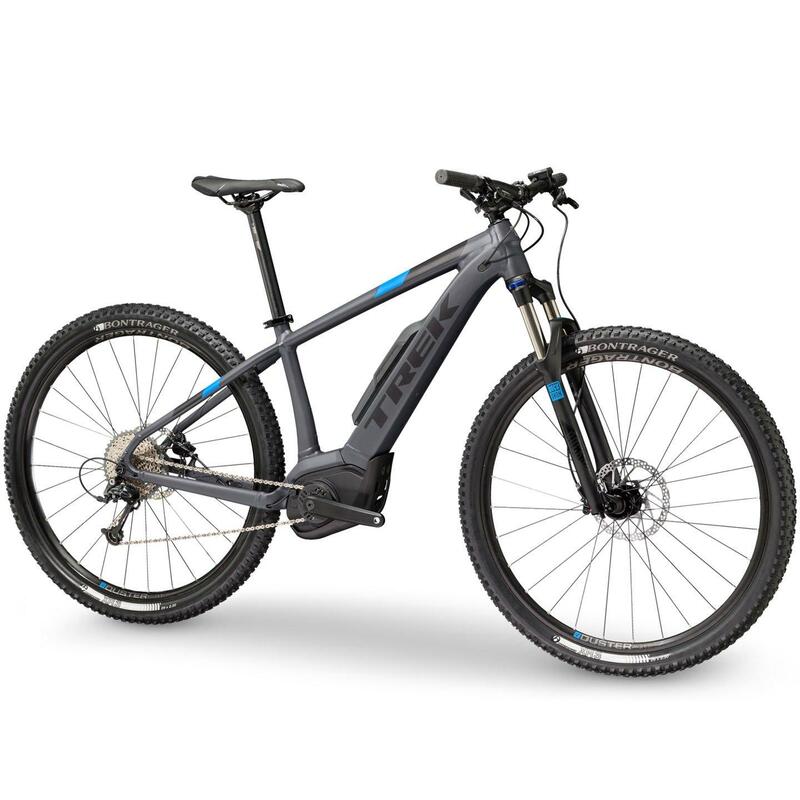 Trek backs every e-bike with unmatched knowledge, a support network that comes from over 40 years of development experience and an extraordinary limited lifetime warranty. Worry less, ride more and enjoy all the possibility that comes with a Trek e-bike. The Trek TM1 + Lowstep electric bicycle provides a comfortable and relaxing ride for leisure cycling and commuting. A high quality Bosch electric motor, and 400WH battery ensure you can comfortably ride without breaking a sweat. 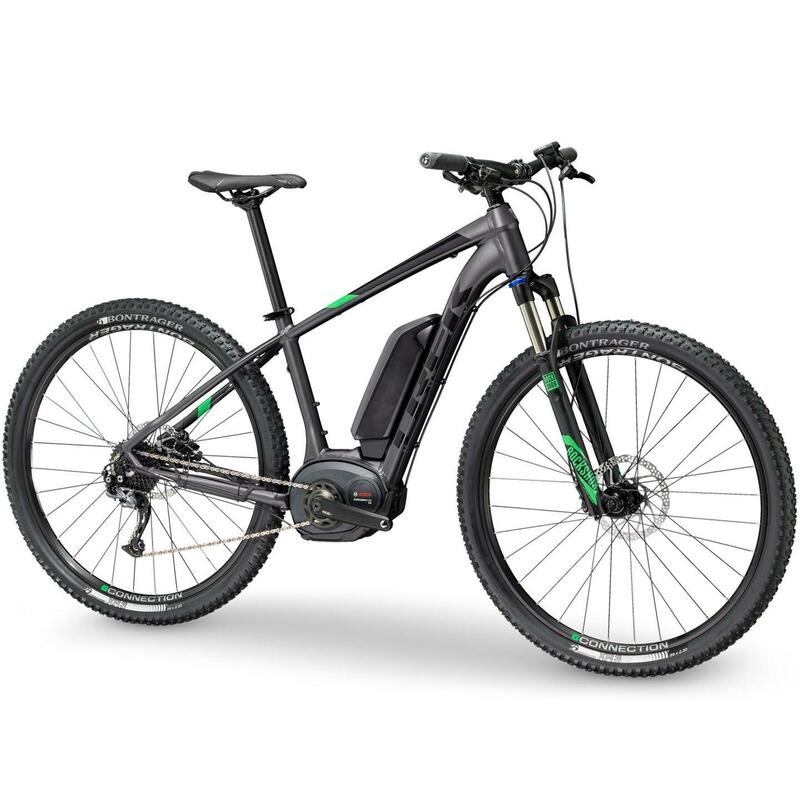 With the gravity-defying capabilities of an e-bike, hills seem to disappear beneath you. Bosch's Performance CX line is made for rugged off-road use with a maximum torque of up to 75 newton metres, sustained power into the high cadance range for sporty acceleration and a sleek mid-mount motor for ideal weight balance and obstacle clearance. General range is 20-100 miles, based on power mode, terrain, and other riding conditions. Simply plug into a standard wall outlet and allow 3-5 hours to charge a depleted battery. More speed and more distance make fitting a ride into your day easier than ever. Maintenance is generally the same as any other bicycle. The battery is temperature sensitive, so store it indoors when temps reach extremes. Powerfly expands your boundaries. It combines Trek's proven design with the reliable propulsion of Bosch pedal-assist technology, takes the sting out of the climbs on your ride, and amplifies the amount of fun you'll have out on the trail. The premium Bosch lithium-ion battery features 500 or 400 Wh and a guaranteed long lifespan. The battery not only ensures long distances, but is also easy to remove and take with you. Trek's patented Active Braking Pivot allows your suspension to work freely whether you're on the brakes or off. It's smooth, controlled suspension that's at its beast all the time. Controlled using the Bosch display with fully functional speedometer and USB interface for charging mobile devices. The included remote control is a safe, easy way to choose the right level of support or activate the walk-assist feature. We ride, we race, we train. We are one in our shared passion, but we’re also each unique in our cycling goals and preferences. All Trek bikes perform effectively in a wide variety of riding situations, but each style is designed to emphasise certain rider priorities and a particular type of ride, making it easy to find the bike that’s right for you. Trek’s R&D department packs more engineering horsepower than any other bike company, so whichever Trek you choose, you'll feel the difference; from the first ride all the way to the finish line. Trek was the first major bicycle company to develop a full line of bikes designed specifically for women, and they’ve been refining their women’s product line ever since. One approach does not apply to all women. Different women want different things from their bikes, and Trek have got something for all of them. Trek Women: Providing the best cycling experience for all women, from beginners to experts. Come ride with us.